“For the Message about the Cross… is the Power of God” 1Cor1:18 | Let the Grace Revolution Arise in the earth today!!! 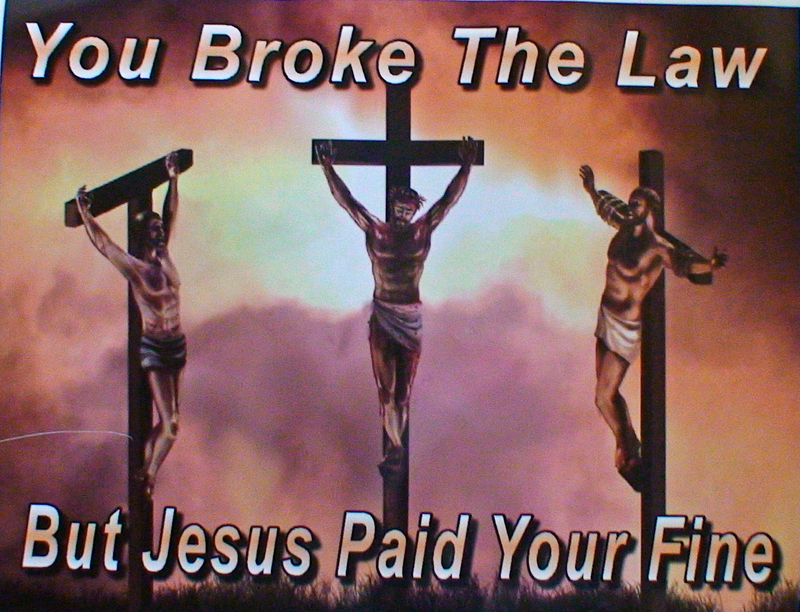 We broke the Law, but Jesus paid our fine!! John 3:16 For this is the way God loved the world: He gave his one and only Son, so that everyone who believes in him will not perish but have eternal life. 3:17 For God did not send his Son into the world to condemn the world, but that the world should be saved through him. Romans 5:8 But God demonstrates his own love for us, in that while we were still sinners(criminals), Christ died for us. Please read the page ‘How to be saved’, if this has raised some questions in your mind. Thankyou bob for your encouragement!! God bless you heaps!! Val an I attended the Fusion Revival Fire at Mt Smart 27 March, Our pastro Tric Bussel was one of the spekers , the womem love her, She was great. I loved the conference , there was an air of expectancy as if revival could happen at any time. Got the V 8 this weekend then a Childrens Mission in Otorohanga where I first asked Jesus into my heart at 10 years old. Thankyou Kevin!! Wow that is so great to hear!! Bless you heaps!! !